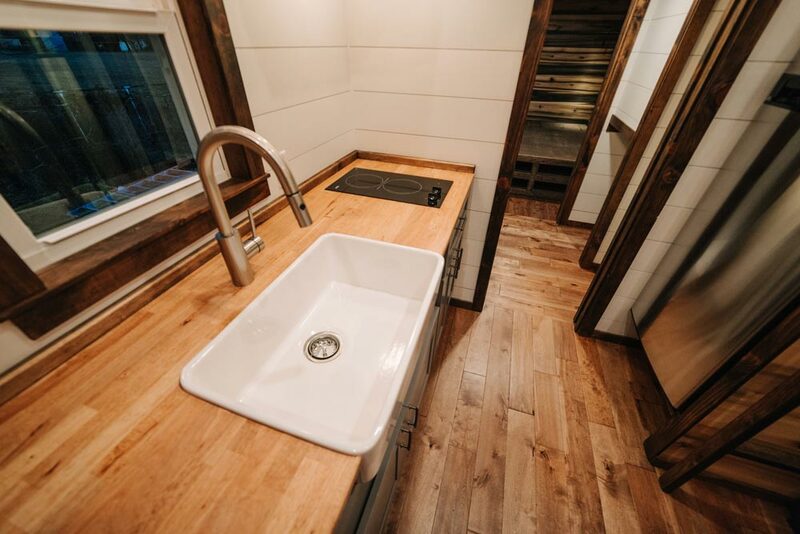 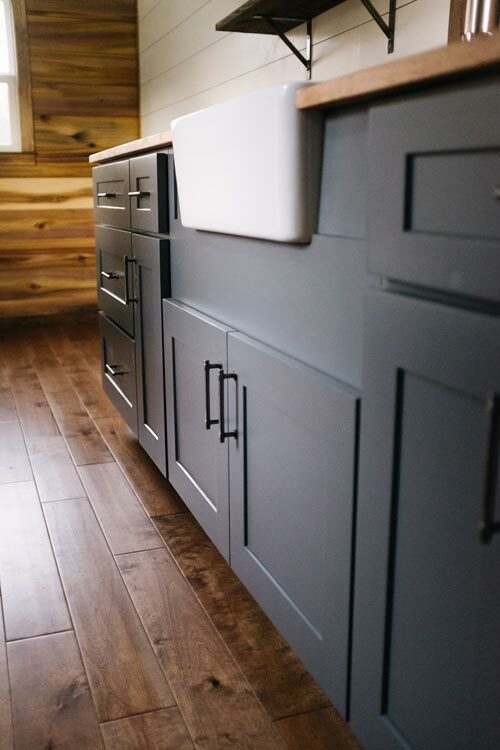 This gorgeous 330-square-foot craftsman style tiny house is the Noah by Wind River Tiny Homes. 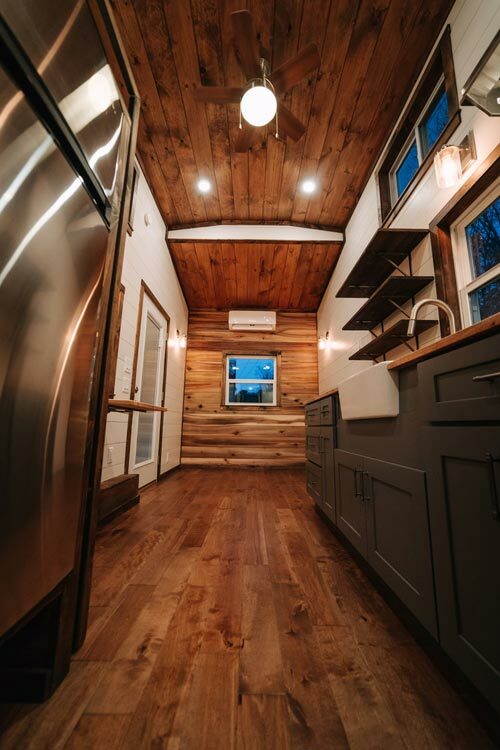 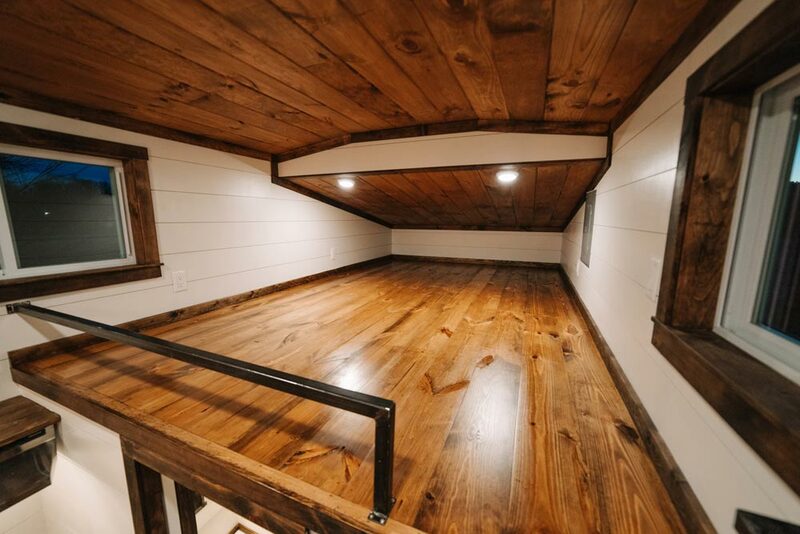 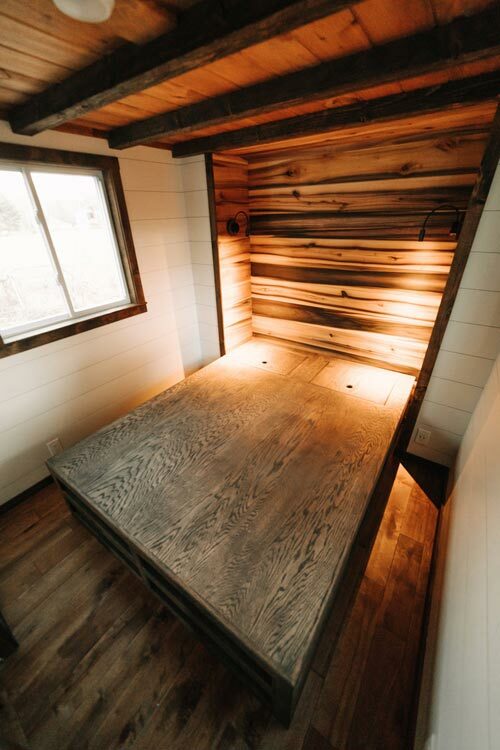 Inside the Noah is a beautiful mix of woods including birch hardwood flooring, knotty pine tongue and groove ceiling, and natural poplar accent walls. 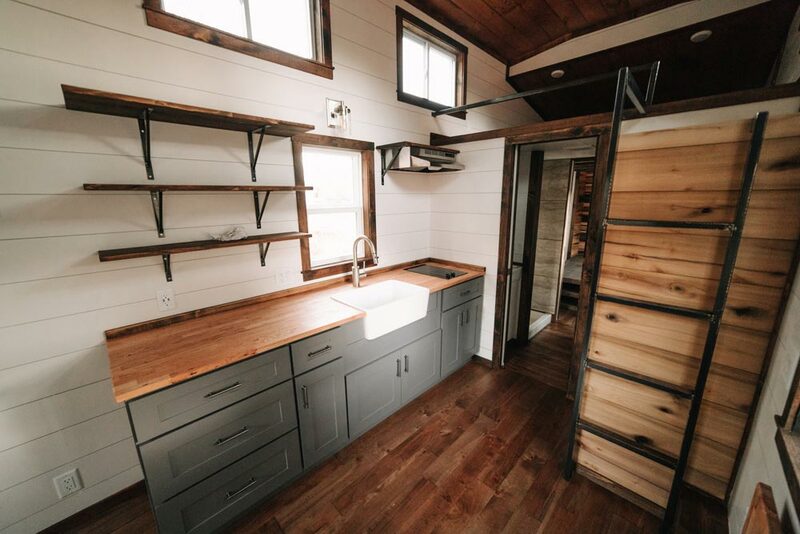 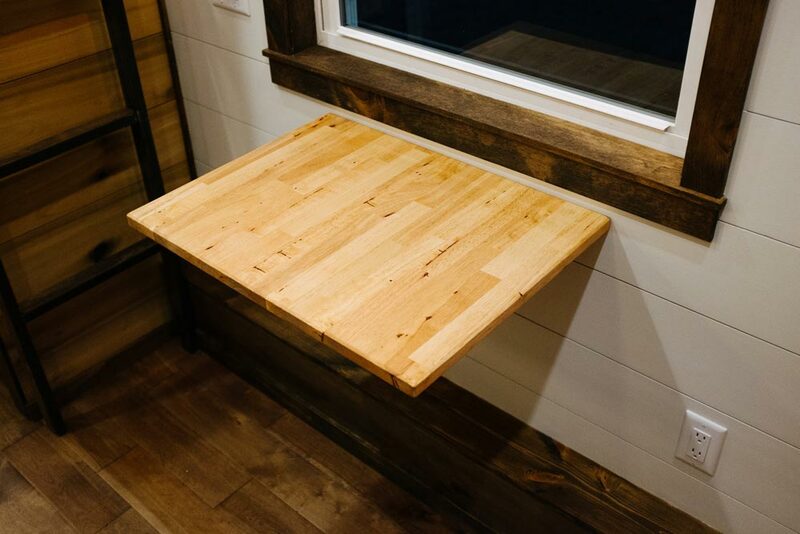 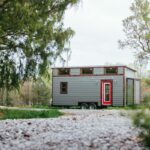 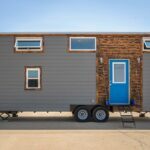 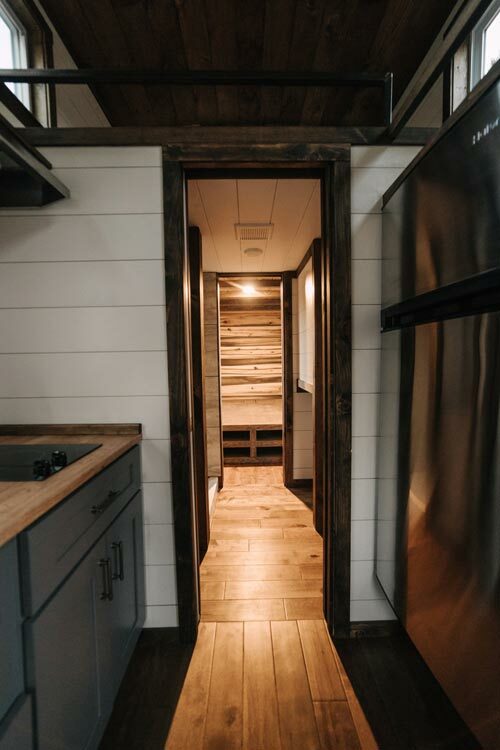 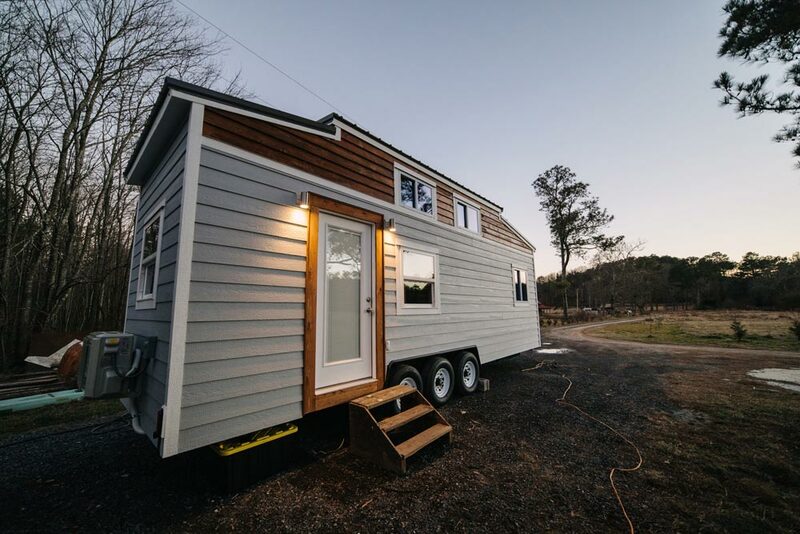 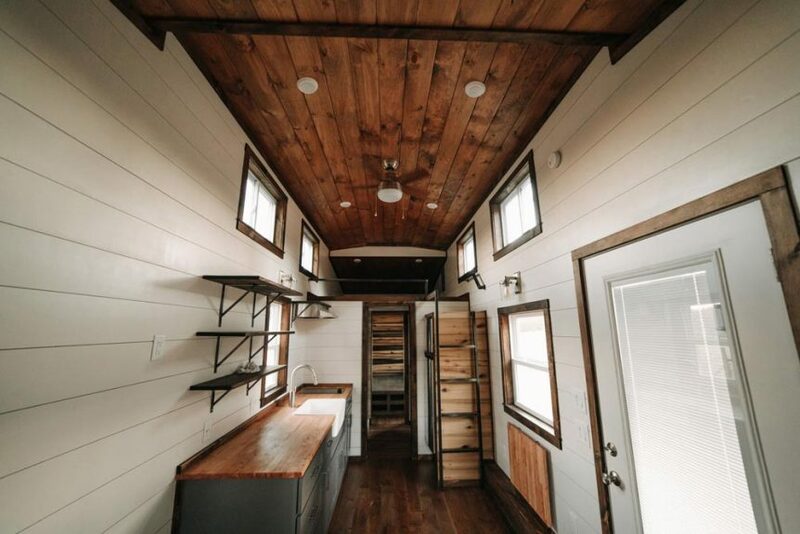 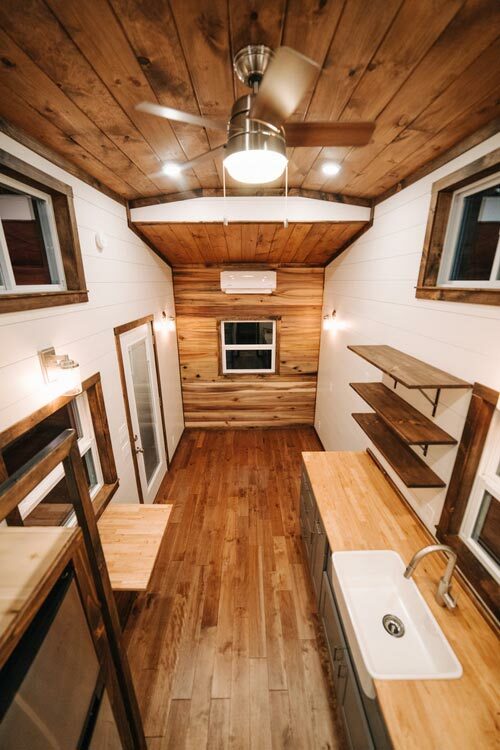 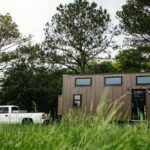 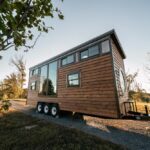 The 28′ tiny home had a first floor queen size master bedroom with custom storage platform and a 12-foot sleeping loft with welded steel ladder and railing. 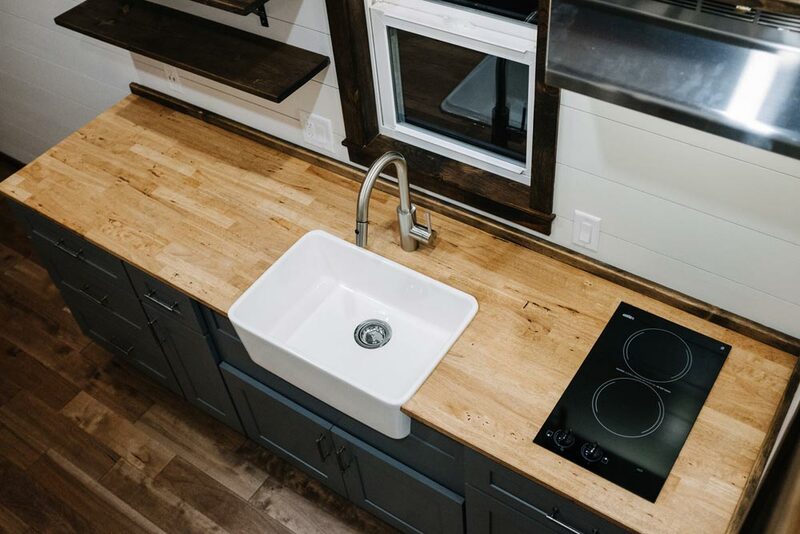 The kitchen is equipped with gray shaker cabinets, a butcher block counter, farmhouse sink, electric glass cooktop, and a 3/4 stainless refrigerator. 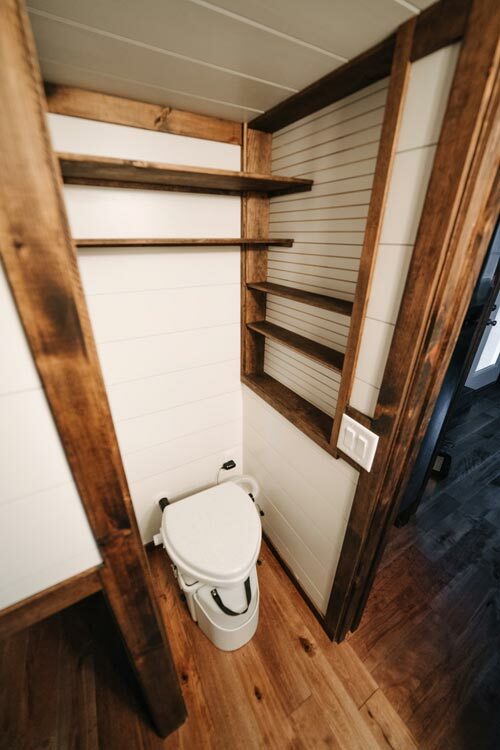 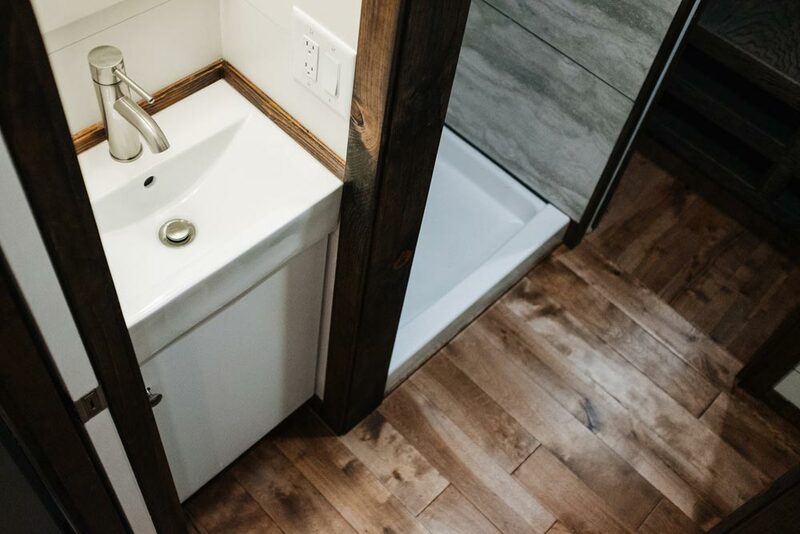 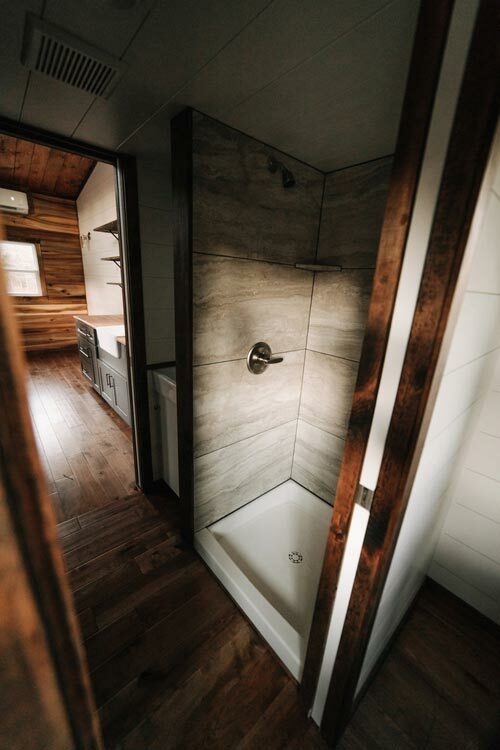 The bathroom includes an 18″ micro vanity with modern sink and faucet, tile shower, a composting toilet, and space for a 24″ washer/dryer combo. 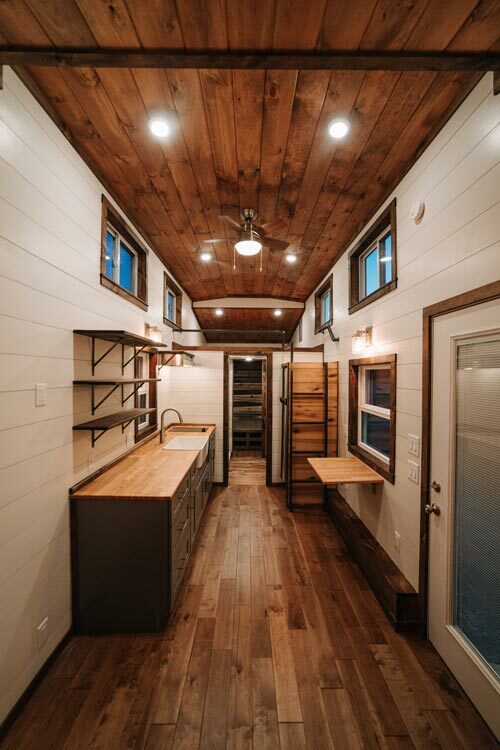 The exterior combines gray LP SmartSiding with cedar lap siding accents. 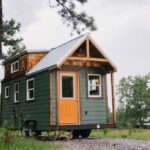 The Noah was approximately $69,000. 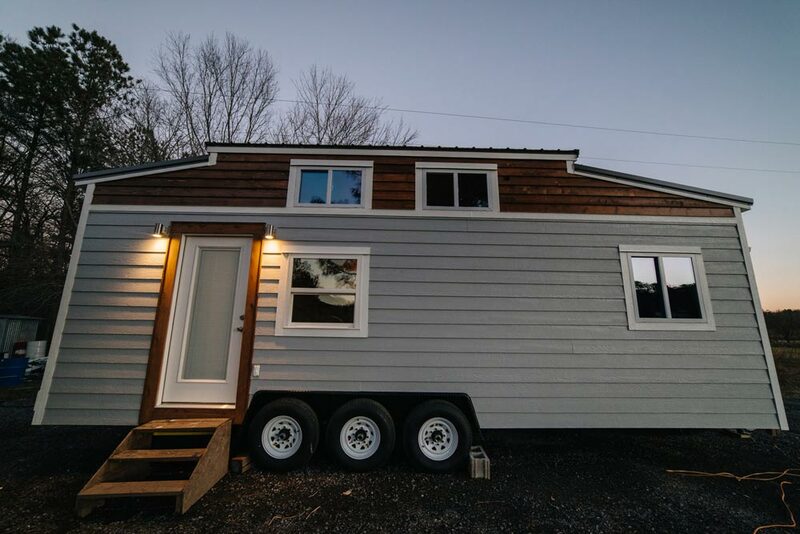 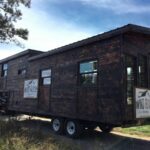 For more information about this tiny house, please contact Wind River Tiny Homes.